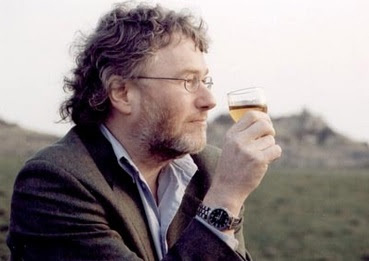 The terrible news has broken that author Iain Banks has lost his battle with cancer. He was 59 years old. Iain Banks came to immediate attention with the publication of The Wasp Factory in 1984. A contemporary novel, the book told the story of a mentally ill murderer and wasp-torturer. With its twist ending, matter-of-fact descriptions of stomach-churning scenes and its thick vein of black humour (best exemplified by the infamous 'psychopathic rabbit on a minefield' scene), it was immediately successful and made readers sit up and take notice. A series of similarly vivid and successful 'literary' novels followed: Walking on Glass, The Bridge and Espedair Street. In 1987 Iain Banks released his first science fiction novel, Consider Phlebas. The move - a successful mainstream novelist moving into SF - was unexpected and commercially questionable. Banks moderated by the blow by continuing to alternate SF and mainstream work, and publishing his SF under the impenetrable pseudonym 'Iain M. Banks' (the M is for Menzies). Banks had actually started off writing SF in the 1970s, writing early versions of what later became Player of Games and Use of Weapons before the decade was out. He had switched to writing mainstream fiction to achieve enough success to get the SF published, and was successful in that regard (despite concerns over the SF community of accusing him of 'selling out', which never materialised). Consider Phlebas introduced Iain Banks's signature creation, the Culture. Banks envisaged a utopian society consisting of multiple species and advanced benevolent AIs, living on a mixture of planets and exotic megastructures (most notably the Orbitals, more sensible and practical versions of Niven's Ringworld; it was actually the Orbitals that served as the inspiration for the titular constructs in the Halo video game series). In his novels Banks explored how such a utopian society could exist, usually by showing the more underhand and devious ways the Culture would protect itself and affect other civilisations. Banks continued writing both mainstream and SF. His 1992 novel The Crow Road was adapted as a successful BBC mini-series, whilst 1993's Complicity became a feature film. However, his masterpiece is his 1990 SF novel, Use of Weapons. This novel features two streams of narrative, one moving forwards and one moving backwards, both building to huge climaxes. Outside of his fiction, Banks was a huge fan of whiskey. In 2003 he wrote his only work of non-fiction, Raw Spirit, an account of Scottish whiskey distilleries. Banks's work meant that he simultaneously became known as one of Britain's leading SF authors as well as a rising star of its literary scene. He ultimately became one of Britain's best-known authors. In 2007 his dual writing identity was acknowledged in a running gag in the Simon Pegg/Edgar Wright movie Hot Fuzz, in which two identical twins can be identified because one always reads Iain Banks and the other always reads Iain M. Banks. In April Banks announced that he had inoperable cancer. He immediately married his partner and took a short honeymoon. He was hopeful of living for another year or so, but the news sadly came today of his passing. Banks's final novel, The Quarry, will be published next month. Terrible news. Condolences to his family. I will miss his Culture novels which i have enjoyed over the years. It was his books that got me back into SF after I tired of it. I'm very saddened to hear this. All my condolences and best wishes to his family! I have not read any of his work but much of my twitter feed today was discussing what a great loss this is to readers so I ordered The Wasp Factory and put it on my TBR list. Condolences to his family. So sad. This is the first time that the death of an author whose work I have loved has actually reduced me to tears. Makes it clear how special a writer he was to his readers. Sad to hear. While only have read a couple of books (COnsider, and Player of Games) they were fantastic novels. Lovely tribute and article. He's a hero.